The BDU (Battle Dress Uniform) originally appeared September 1981, with a camouflaged woodland pattern. Its colors were based on the woodland colors (browns and greens) of Northern Europe, thus enabling soldiers to achieve greater invisibility among foliage and trees. BDUs were extremely popular with the military and by 1989 they had replaced all the former olive drab uniforms which had been used since the World Wars. BDUs were the first generally issued camouflaged uniform approved by the Army since Vietnam. 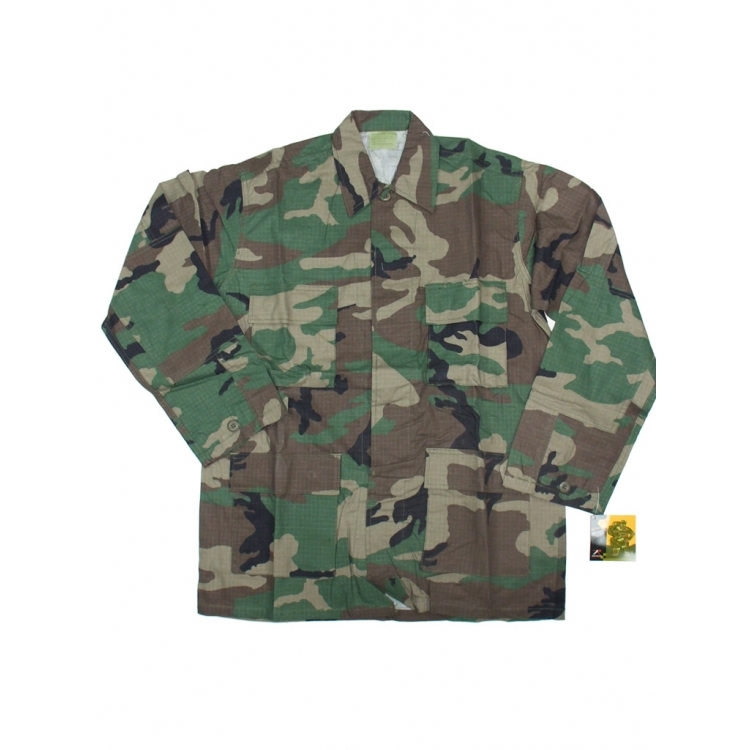 Since its introduction in 1981, the BDU has undergone many modifications and adaptions. For example, initially, the uniform came in two forms, the “Hot Weather” BDU, and the “Temperate” BDU. They used various material of make, such as ripstop cotton, nylon cotton blends, and cotton poplin. As combat zones expanded to the entire world, alterations such as the removal of buttoned waistlines, size reduction of collars, and improvements in stitching were made. In 1996, a further innovation on the uniform was made, the EHWBDU (Enhanced Weather Battle Dress Uniform), which incorporated light-weight, “breathable” material, such as ripstop nylon and cotton poplin blend. Beginning around this time BDUs were printed using sophisticated infrared brightened dyes, used in uniforms to protect detection by near infrared image converters. As branches sought to stand out from others, many different dyes and patterns began to be used by various military branches. During the Persian Gulf War when combat zones shifted to desert climates the woodland camouflaged pattern was replace by sandy desert patterns. These patterns utilized more shades of colors, ranging from three to six, to better adapt to the various eco-zones of the desert environments. In 2005 the military began to phase out the BDU military uniform and by April 30, 2008 they were fully replaced by the ACU (Army Combat Uniform). 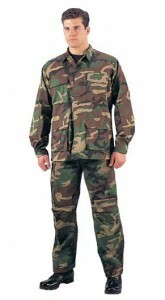 As opposed to the BDU, The ACU, uses a digital pattern, with less saturated colors. Although no longer used today, the history and pride of our nation still stands within those colors. The Battle Dress Uniform was the uniform used by the United States military while engaging in combat, as opposed to what’s known as, the ‘Dress Uniform’, which is used in parades or other formal situations the Dress Uniform would be utilized. In combat, the Battle Dress Uniform or BDU. The BDU was standard issue for all branches of the United States Military from September 1981 until April 2005. The appearance was that of the woodland camouflage pattern. The colors would imitate the Northern European woodlands. It had two shades of green, black, and a shade of brown. This pattern would be printed onto a cotton-nylon blend twill. 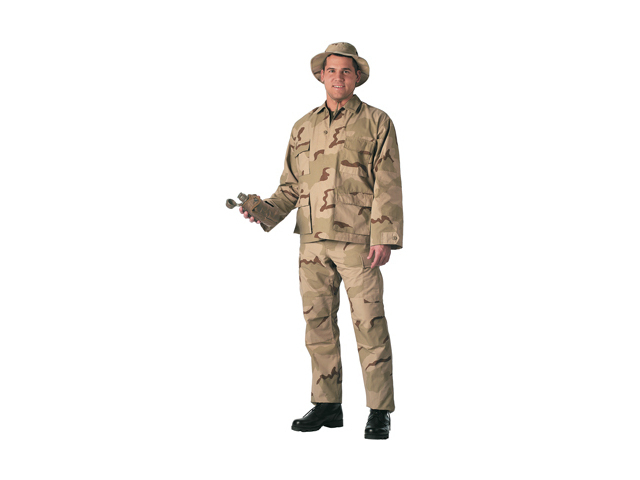 In 1989 a lightweight version of the BDU was approved using a rip-stop poplin cloth. By 1989 the camouflaged pattern BDU would be the uniform that was used in all wooded, jungle, and tropical environments, completely replacing the olive drab standard uniforms that were used since 1952. But along with the primary woodland camouflage pattern, both the United States Army and the United States Marine Corps found that what was needed were more refined environment-specific uniforms. There was the six-color ‘chocolate chip camouflage, also called the Desert Battle Dress BDU in 1962 (NCDBDU). There was also the ‘nighttime desert grid’. These were both used during the 1991 Persian Gulf War. There was the three-color desert camo, the Desert Combat Uniform (DCU) in 1992. The DCU saw use in Somalia in 1993 and also at the start of hostilities in Afghanistan and Irag. 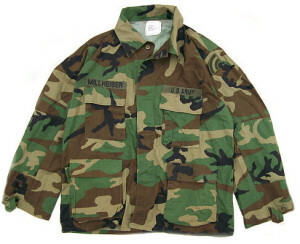 A three-color BDU replaced the six-color patterns of the 1990’s. But the development of the modern camouflage patterns began with the Marine Corps replacing their BDU’s with a computer-generated MARPAT pattern ( the Marine Corps Combat Utility Uniform). The change started in 2001 and was completed in 2004. 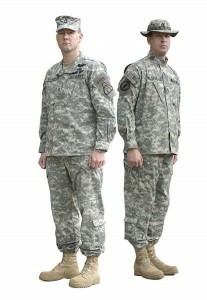 A United States Army program that ran from 2005 to 2007 saw them replacing the BDU with the new Army Combat Uniform (ACU). This uniform uses a digital pattern like MARPAT, but with less saturated colors. As with the ever changing and evolving battlefield, we can be sure that the BDU of the future will evolve and change right along with it.